Dear friends Thank you so much for the heartwarming comments on my Lever popup card tutorial . I am not a pinterest fanatic but I was thrilled that the tutorial pinned by Marmosa has gone viral on pinterest clocking 190 + repins in a short time! 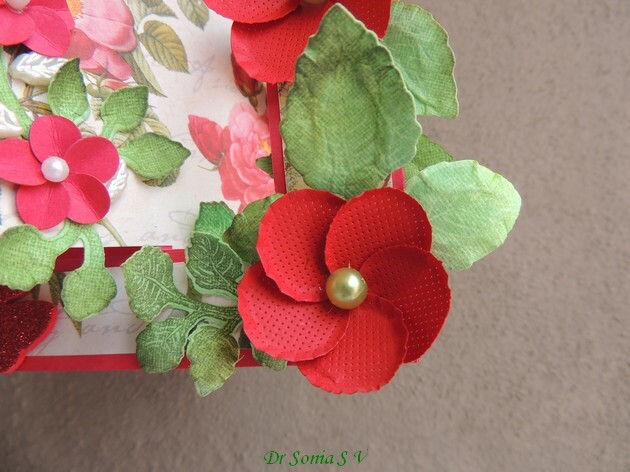 This is yet another handmade pop up card with the lever mechanism in a kiddy style featuring Snow white amidst lots of handmade flowers.The red roses are made from foam. I kept the inside fairly simple this time as I wanted the card to close perfectly flat. 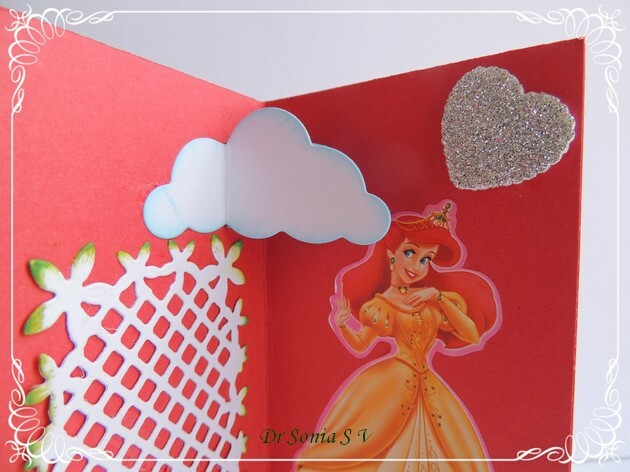 My little girl has a lot of Disney Princess stickers and any card or project featuring a princess is a "wow" for her and this card will probably be given to one of her friends! I added a small pop up tab on the inside fold of the pop up card to make my clouds pop out! The silver heart has been punched from glitter foam. I hope you like little Snow white swinging around in this pop up card. Supplies- Dies : Itsy Bitsy rolled daisy, Spellbinder Classic Leaf ,Memory Box fringe, Memory Box spring border, Memory Box cloud, Lifestyle crafts circle, Cheery Lynn Butterfly, Sizzix butterfly,Wild rose studio floral frame die, Punches- Itsy Bitsy scallop heart foam Punch,Stamps- Sizzix butterfly, Heartfelt creations leaf. I love making pop up cards as its a combination of science and art at work! If you get the science bit wrong [ ie the precision and measuring part] your pop up won't work and if your artistic sense has deserted you even an utterly clever pop up mechanism will fail to impress!! Sharing a lever style pop up card which on opening stands on its own and displays several panels you can literally go to town embellishing! 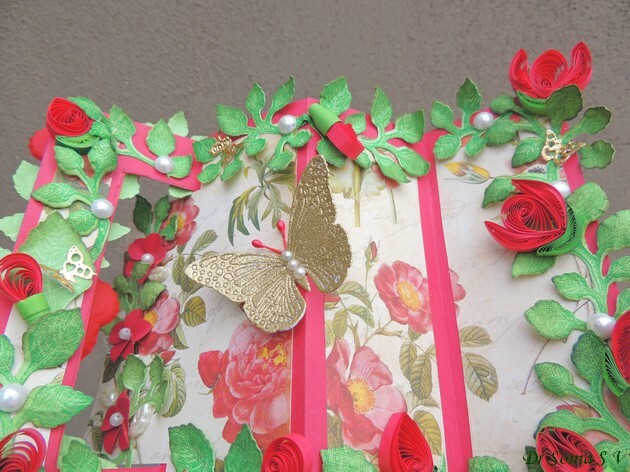 Here is the front of the pop up card with a rectangular window embellished with punchcraft flowers. 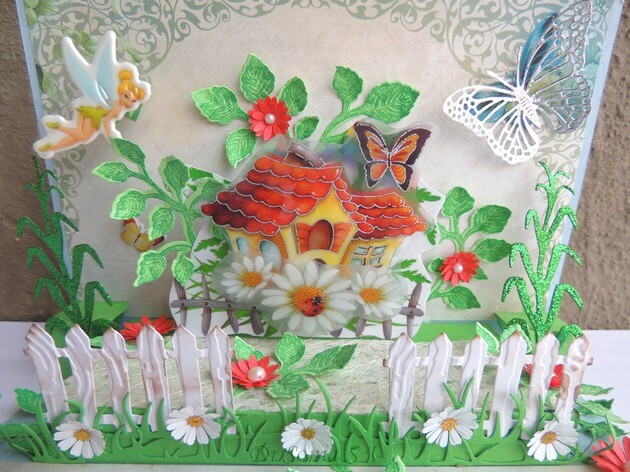 Lots of quilled flowers, stamped leaves and tiny golden butterflies in my pop up butterfly garden! To Cut - if you are going to cut by hand you need a craft knife and a cutting mat / kitchen board. If you want to be lazy or feel good you are exercising your fancy machine [like me!! ]- do bring out your big shot/cuttlebug/grand calibur and your shaped dies [avoid ones with fancy edges-plain circles, squares ,ovals and rectangles are the best]! To decrease page load time I have displayed the tutorial photos small. 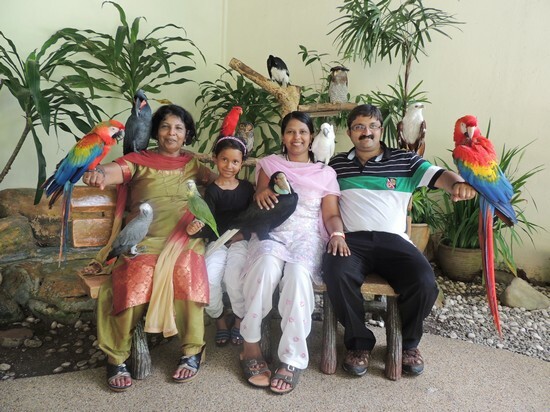 Just click on the photo to see a particular pictorial photo in a larger view. Fold the two 11 x 6 inch cards in half and cut out a circular aperture [ you can try other shapes too!] on the front of one folded card. Insert the open end of one folded card inside the card with the aperture and mark a semicircle onto the inside card along the edges of your aperture. You need not obsess about measuring- just eyeball it and mark lightly. On the inner card with the semicircle [ the red marks demonstrate my photo editing and not my drawing skills!!] drop down scorelines from the center of the marked half of the card to meet the semicircle. The next step is only if you want to use your die cutting machine! For hand cutting folks- its easy- just cut the marked semicircle till the center! Align your die bang on the semicircle and apply tape to temporarily secure your die to the cardstock. Place your die + paper sandwich on your platform-cutting plate and place your top cutting plate over the marked semicircle half of your card to just reach the halfway mark [ see pic above].Roll your handle and you will get a cleanly cut semicircle still attached to your card. The picture above shows how the 2 cards are going to fit together to make a lever pop up card. This step needs a bit of care to get your pop up to work. Insert your semicircle into the aperture of your front card and apply glue on the folded inner panel as shown above. While sticking down dont align the outer edges but focus on aligning the edges of the semicircle as shown below! Apply glue on the other folded panel as shown . To make sure your pop up will work wonderfully, fold over as shown in the picture above and stick to the outer card. Your lever pop up card is done. A little complicated ? Yeah I agree but so rewarding when you can conquer it ! !I do urge you to try this lever pop up card! This ocean diorama with a clay mermaid accompanied by a cute clay pet whale , clay crab and numerous clay sea weeds is my little girl's creation. I was in fact somewhat amused when I got an email from Kores Kool Clay asking if my kiddo would be interested in working with Kores clay!! And here I thought people came to the blog to see my work !! I accepted the offer on behalf of my daughter as we had already worked with Kores clay before and I knew she could easily work with it unlike some super sticky brands of clay which she disliked! Well little crafter took her designer job very very seriously and even made me take a video of her making the clay mermaid [but somehow me not too comfy about putting her on you tube...what say friends?]! As a final touch mermaid got a sequin flower and can you see the tiny "umbilicus" on the cutie tummy ?! My little girl recycled an old cardboard box lid [by painting it blue] to create a setting for her ocean diorama. We placed little mermaid on a real sea shell sofa and according to my daughter little mermaid had just got back from collecting pearls [you can spy the treasure in her pink clay basket!]. My daughter's big red clay flower perhaps bears no resemblance to any aquatic botanical species ...but then we do have artistic license!! We made the seaweeds from green clay and stuck them atop real sea shells. We duplicated the orange and velvet sea sponges from the graphics behind the crab into matching clay sea sponges ! Since I have a crafty little girl I buy a lot of clay and have tried many different clay brands. What we especially liked about the Kores Kool clay is its not sticky , its easy to mould and shape and wont stick to moulds or cutters. And true to their claim of "never drying"...the clay figures remained the same even after a week in our humid hot Indian climate! 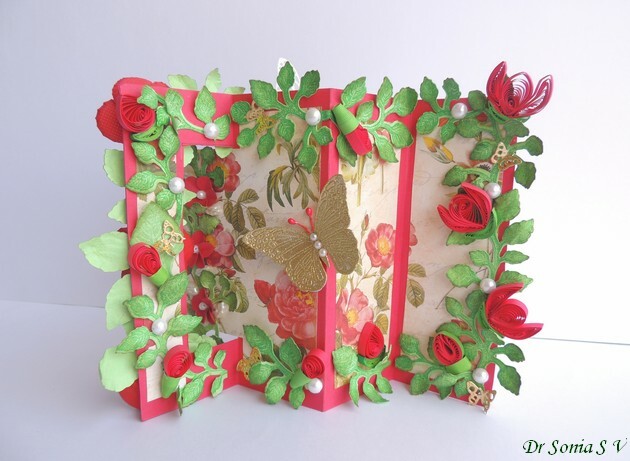 Dear friends Thank you so much for the wonderful comments on my Fairy land pop up card and all the congratulatory messages about my blog crossing 3 million views! 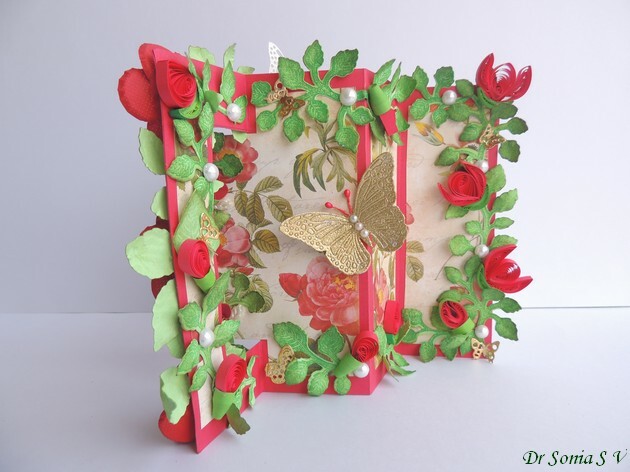 Jaya of My Craft World invited me on a "Getting to know me blog Hop". Jaya makes the most stunning creations...she plays with texture and inks and sprays and literally weaves magic in her creations. I love her layouts , her cards , her altered projects...ooh I could go on and on!! Do pay her a visit...I promise you wont be disappointed! Why do I craft and blog ? I had never realised I was a creative person till I started making school projects for my little girl[she was 2 then] and I actually started this blog [in 2010]to chronicle the kiddy cards and school projects we made. 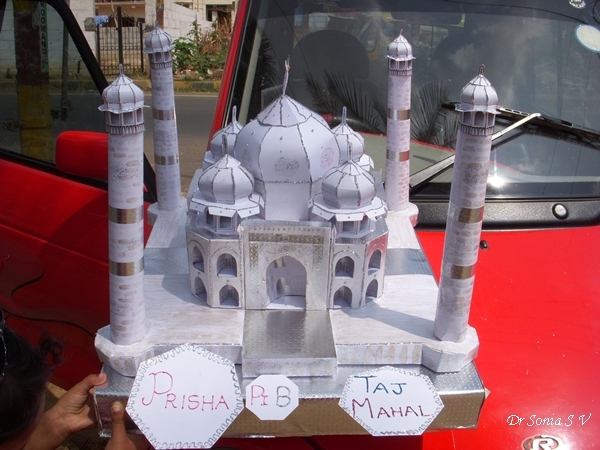 Our school projects became a hit in her school as well as on this blog and I started getting emails from all over the world asking for guidance on making particular school projects! 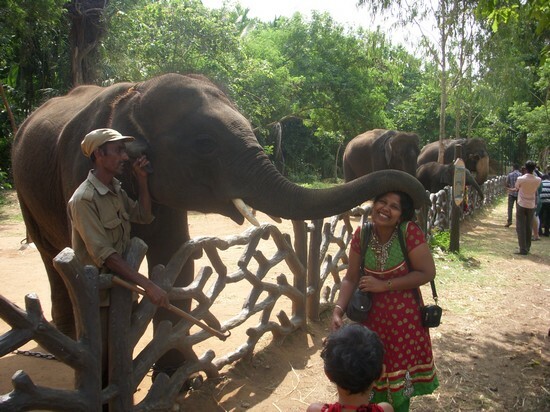 And why do I blog.....I guess the euphoria generated by the comments to a blog post[akin to what I felt when this cutie elephant patted me!] and the friendships formed in blogland keeps me blogging! We all have stresses and problems in life and for me crafting seems to be a wonderful distraction.I firmly believe that whether you are a housewife , a computer engineer or a doctor like myself ...everyone needs a hobby , a little bit of special " me time" to unwind!! Dont you agree? And I guess I love to share how I made something even though I am not an expert! 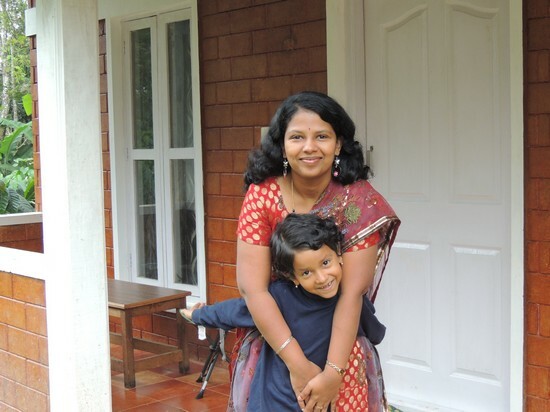 And what makes my projects really special is when they have input from the little one in the picture! How long does it take to create a project ? Well the question I get the most from my readers is "how do you get time to craft ?" Yes time is an issue especially since I am a practising doctor + surgeon and a mom to a demanding little 8 year old! I don't have full time maids or cooks or drivers and yes I have to do the shopping too!! Ha Ha yes I am your average busy bee[ handling myriad fluttering birds !]. On an average I take at least a week to make a single card and that too using flowers and embellies I must have made earlier and with die cuts I must have cut long back! But I do craft a little bit each day [sometimes just ten minutes!] as it relaxes me ...it may be just punching or die cutting a few leaves or making a single flower! And I hardly watch TV---- big time saver! I often can't craft to a deadline due to time constraints [hence I don't accept regular DT posts] and ha ha this post was supposed to go live yesterday so you know I often do get into serious time crunches ! I am sure most of my readers are familiar with Lisa as her presence in our crafty blogland is hard to miss. 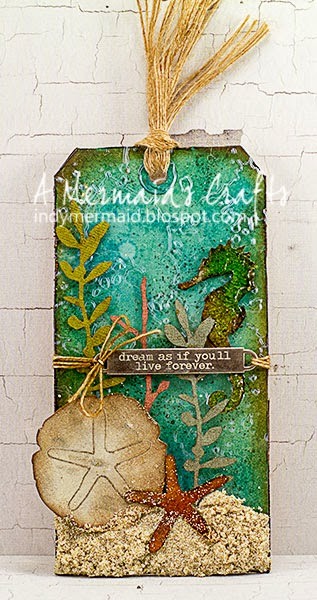 She makes such beautiful projects using dies , inks and media. Crafty Blogging is all about sharing and supporting each other and Lisa to me is one of the most wonderful friends a crafty blogger could wish for! Her work is unique and inspiring and her presence in blog land is such a morale boost to her crafty friends and especially to me as never a blog post goes uncommented by her. Do vist Lisa and follow her...you will have made a friend for life! 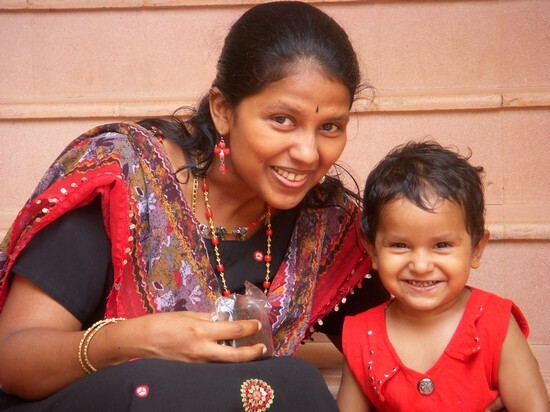 Radhika started her blog only in 2013 but from her very first blog post she had me intrigued. She combines traditional Indian crafts and modern crafting with such enviable ease and shares step by step tutorials to many many projects. 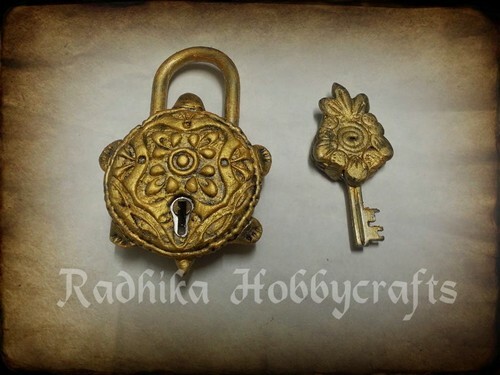 She can turn an ordinary lock and key into a work of art , convert a coconut shell into a jewelry box , make an aquarium in a phone case, make earrings out of pista shells....oooh this lady's mind is a crafty wonderland !! And she has become such a supportive blogger friend too...Thank you Radhika for inspiring and being a wonderful blogger pal. 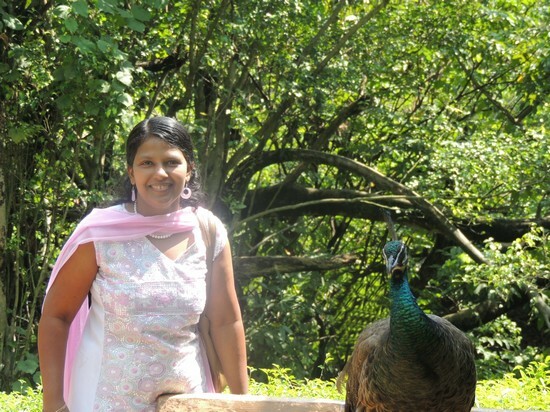 Do drop by Radhika's blog....this lady has a big cauldron of creativity you wouldn't want to miss! 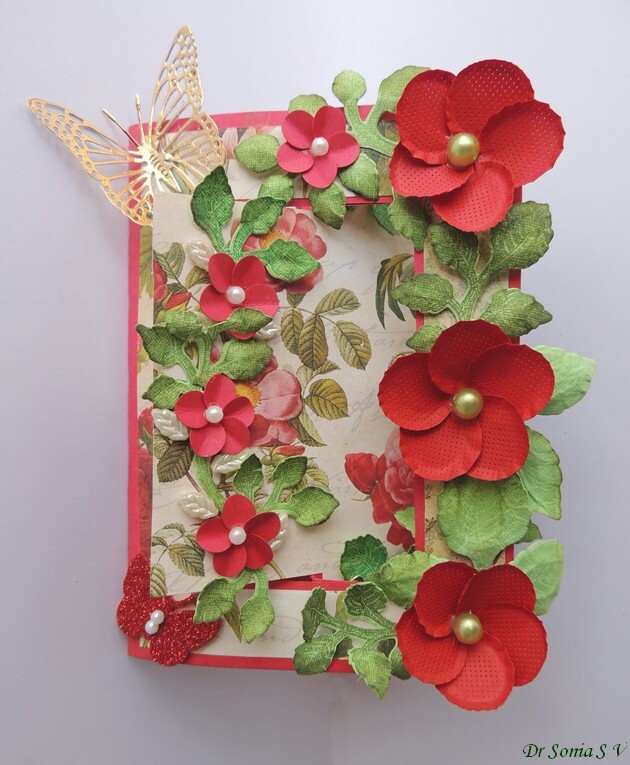 Dear friends I am so thrilled with the amazing support on my Swinging card tutorial . Also my blog page views just crossed 3 million views [ you can see the counter at the bottom of the blog] with more than 1 lakh [100,000] views per month + I have reached 1673 followers[each one of you is so precious to me].Also my google plus profile has a crazy 42 million views. 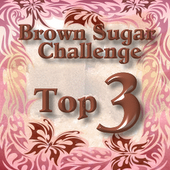 Thank you so much ....I never imagined this little blog would become so popular! 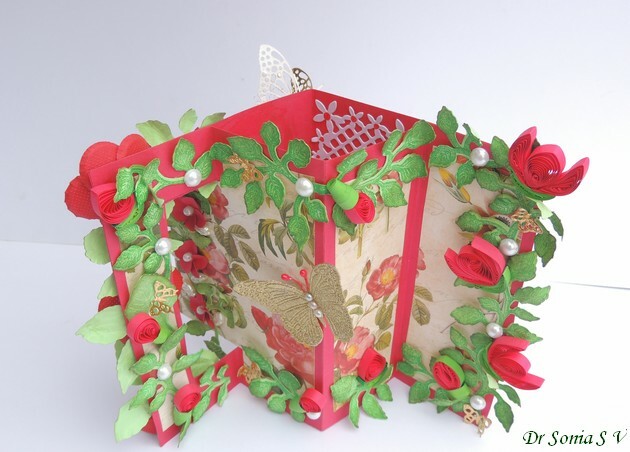 Sharing yet another interactive 3 D card- a pop up card set in fairy land. I luckily had a " with love from neverland" sticker which was the perfect sentiment for this pop up card. The flowers were made by layering several sunflowers,embossing them ,spraying with Lindy's mist and adding chunky glitter to the centers of the paper flowers. The card has a total of 5 pop ups- the fairy springs up by an easy to do accordion fold pop up mechanism [see Pop up tutorial], the glittery corn plants on either side of the house are simple pop up blocks and the pop up house is built on a pedestal pop up [which I lined with cream thai paper to give the appearance of straw]to which I attached the fence, grass and punchcraft flowers! 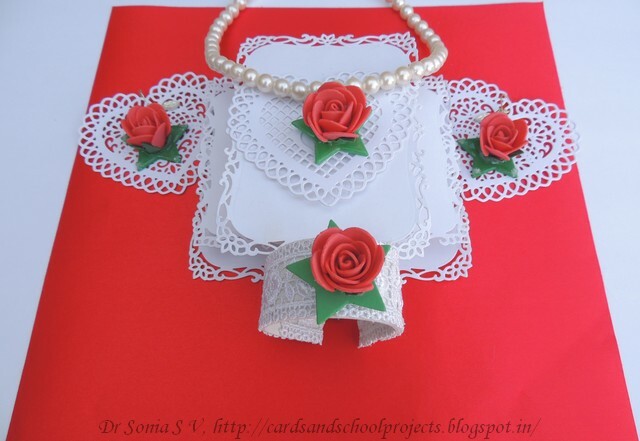 Here is the link to a pop up card making tutorial which uses no special tools. 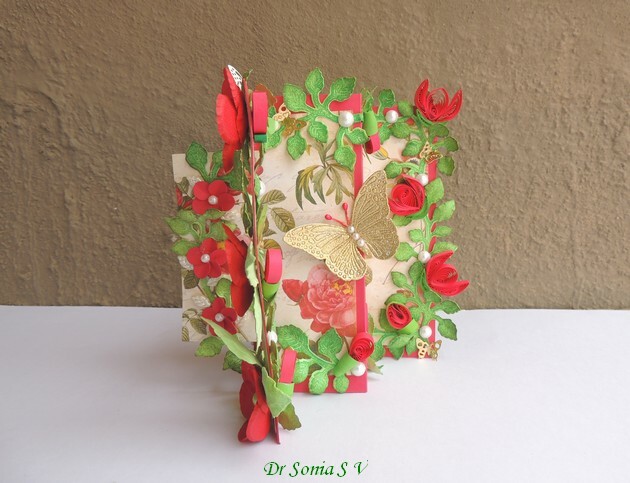 Pop up cards are the most fun cards to give to a person by hand as its priceless to see their expression change on opening the card! This card made its way to my aunt and niece in Kerala! Please tell how you liked my fairy land pop up scene.